This time of the summer seems to bring out all kinds of rambunctiousness in my little ones. Even though they aren’t in school yet, the differences in our weekly schedule during the summer months seem to put them a little on edge. And, of course, there’s that scorching Texas sun that keeps us all indoors a little more than usual. So besides traveling around to all the splash pads and parks that Heidi so wonderfully reviews for us I also try to keep a stockpile of fun activities we can do without even getting into the car. Here are 10 ideas to replenish your at-home-fun bucket list for this summer. 1. Make a batch of edible play-doh. Besides being fun, this recipe is pretty healthy too! 2. 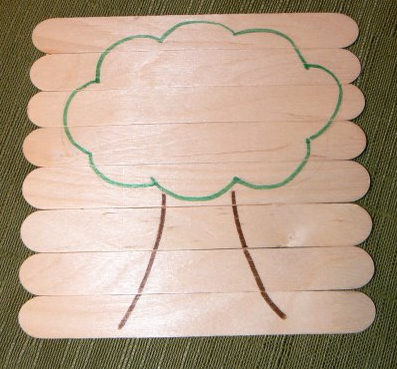 Make Wooden Stick puzzles. Place 8-10 popsicle sticks side by side. Scotch tape them in position on one side. 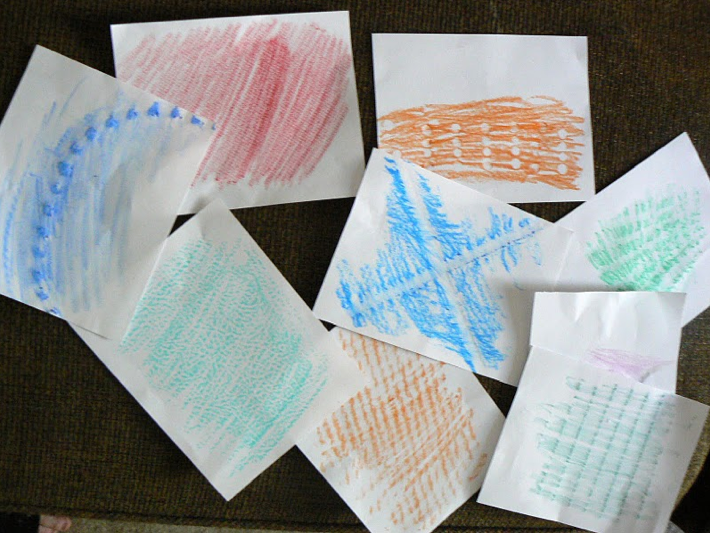 Turn them over, and draw the outline of a simple picture on the sticks. Let your child color the picture. Then take off the scotch tape and scramble the sticks. 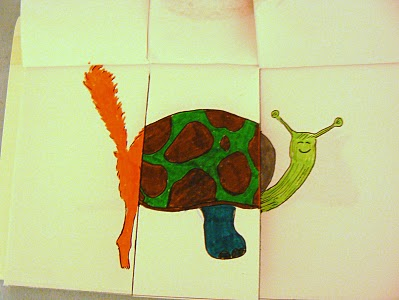 Let your child arrange them again into the picture he just colored. 4. Do the animal mix-up craft. Using these templates your kids can create all kind of crazy animals. Hilarious fun! 6. Make Soap Snakes. Cut off the wide end of a plastic water bottle and rubber-band a piece of fabric around the opening. Dip the fabric in some soapy water (use a liberal amount of dishsoap) and putting your mouth around the small end of the bottle, gently blow and watch as your long soap snake grows. Sooooo fun! 7. Use the Texas heat to your advantage to make sun-upcycled crayons. We placed our crayon scraps in a bed of tin foil, and they melted in a couple of days, but when the temperatures are in the triple digits I think you could even do away with the tin foil. 8. Play the “Looby Loo” and “Hoky Poky” games in the sprinker. 9. Make an outdoor watercolor mural. 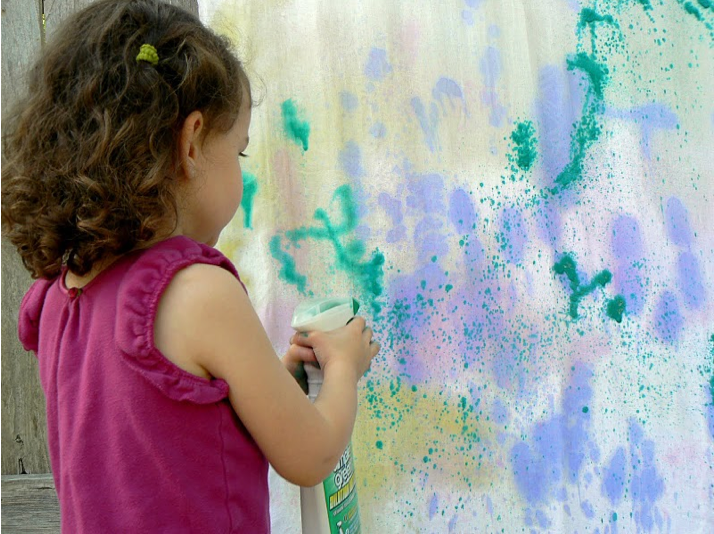 Hang an old sheet over your back privacy fence and let the kids spray it with paint and water filled spray bottles. 10. 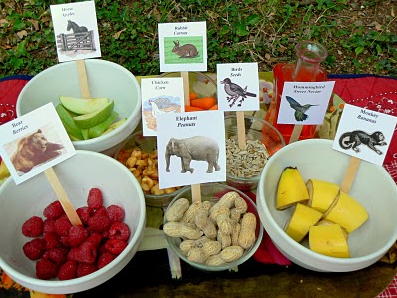 Have an “animal foods” picnic, serving foods that different kinds of animals eat. It’s a science lesson and healthy snack initiative all in one! Here are printable labels for the different kinds of food. Katey is a stay at home Austin mom to two (soon to be three) little ones. She blogs about inexpensive and creative activity ideas for families at Having Fun at Home.